CLICK HERE FOR MORE TITLES BY KIRSTY LOGAN. In Kirsty Logan’s watery debut, the world as we know it still exists, only it is entirely underwater. 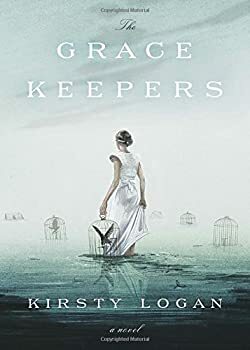 Eerie and poetic, The Gracekeepers has been dubbed a dystopia, but it actually reads much more like a regular fantasy. Small scraps of land are all that remain of earth’s continents after rising water levels, leaving humanity in two groups: “clams,” the lucky few who cling to the land and “damplings,” those that must live out on the sea. The two groups have an uneasy relationship: half-mistrustful, half-fascinated by one another.